[post_ads]But rather than a spy device, the chip is an advertised feature of the Adidas AG ball. 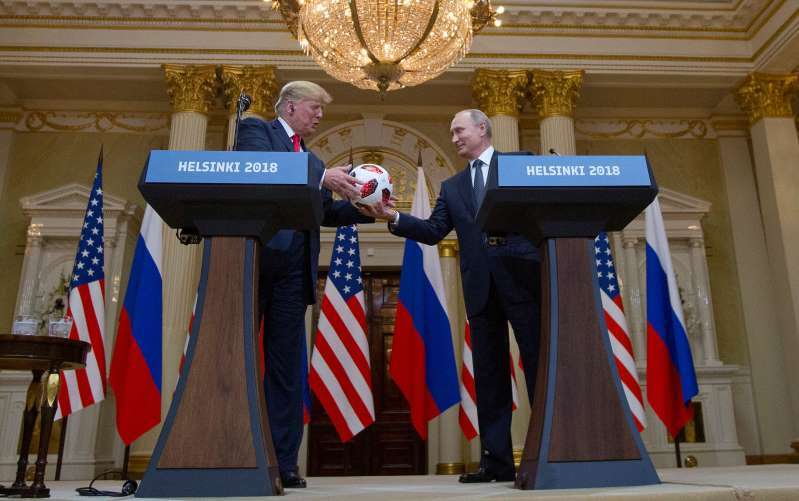 Photographs from the news conference in Helsinki, where Putin handed the ball to Trump, show it bore a logo for a near-field communication tag. During manufacturing, the NFC chip is placed inside the ball under that logo, which resembles the icon for a WiFi signal, according to the Adidas website. In theory, such tags can be programmed to initiate an attack on a phone, at least one hacker has shown. In 2015, Forbes reported that an engineer used an NFC chip to send a nearby Android phone a request to open a link that -- if the user agreed to open it -- installed a malicious file that took over the phone.